Dr. Abhitabh Patil, is known nationally for his expertise in advanced therapeutic endoscopy and specializes in interventional gastroenterology, pioneering many innovative endoscopic techniques. He and his interventional team at St Anthony’s Hospital, chose the Omega E-View MP fixed fluoro system for its high-quality imaging and unique features which are specific to the needs of interventional endoscopists performing complex endoscopic procedures. St. Anthony’s Hospital, a 393-bed hospital, located in scenic downtown St. Petersburg, Florida, opened their new state-of-the-art therapeutic endoscopy suite this November. Making them the third hospital in Florida utilizing the exclusive Omega e-View. The E-View is an American-made product designed, engineered, and manufactured in Sanford, Florida. 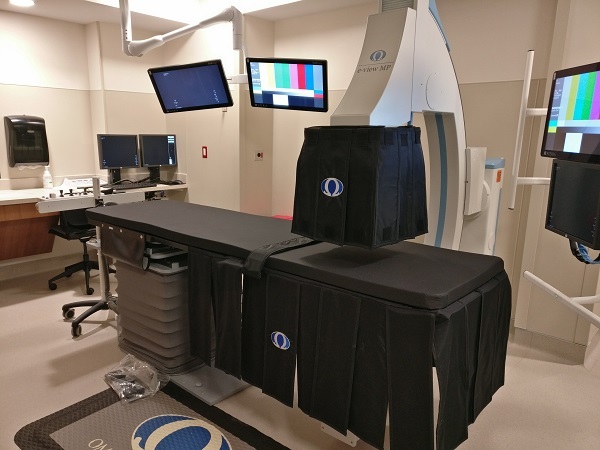 Omega Medical Imaging has been committed to producing the highest-quality GI and Cardiac fluoro systems for over 25 years!